That depends on four items - Collateral, Credit, Term and Transaction Size. On hard collateral deals the yields start 5.5% and up to 8+%. The shorter the term, the lower the yield. The A credits will be on the lower end and the C credits on the higher end. For the tech collateral, the yields will range from 8% - 12% based on the same A-C model. These are soft collaterals such as IT, telecomm, and copier. For small ticket financing, 50k and under, the terms for the hard and soft will range from 7-10% and 11%-15%. This excludes startup financing. What do I need to provide the finance co from an underwriting perspective? For deals under 50k we require an application, vendor quote and 3 months business banking. For over 50k, an application, equipment quote, Year end 2009 Corporate Tax Returns and most recent quarterly interim Balance Sheet and Income Statement. The path to success in this economic environment is traveled by understanding the client, their credit profile, needs and coupling that with an understanding the banking and funding sources that match those needs. The typical A-C credit scale has shifted and more and more clients are finding themselves in the perceived B profile that requires structure and actual B pricing. Imperative to transacting these deals is firstly, conveying the proper and realistic message to our client. Establishing the proper expectation allows us to fulfill what we set out to do. Clients need to understand the culture of full disclosure and this allows our lenders to get comfortable with the deal and give them the best terms. Structuring deals is at a premium which means, down payment, co borrowers, collateralization, personal guaranties, et al. Can we get financing as a startup? Yes. It will cost differently than an established business. It is predicated on the strength of the Principals and an understanding of the business. We look at all deals to understand the business plan and not to paint every client with the same brush. Yes. Generally, the asset needs to a hard asset with a longer useful life. Rates are reflecting of risk. We have financed a 20 year old piece of collateral but a good rule of thumbs is Year 2000 or newer. We work with some of the largest banks and finance companies in the country but importantly, smaller, regional finance companies that are typically more flexible and may understand a footprint (local) client better than the next. We have hedge fund partners to round out our 60+ funding portfolio. If the client provides the proper financial package, an underwriting decision is rendered between 24-72 hours based on an Application Only packet vs. a Full Financial Packet. An approved client will be emailed documents within 24 hours of their acceptance of the terns. Upon receipt of the signed documents, we will issue a purchase order to the equipment manufacturer or reseller. Once the equipment is installed, we will conduct and verbal and/or written D&B and fund the transaction within 72 hours. Why choose Patriot Funding Corp? 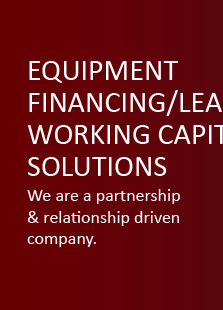 Patriot Funding Corp’s executives have over 30 years equipment financing experience with major lending institutions. The experience, expertise coupled with the vast network of financing relationships allows the most diverse funding product available on the market. It is competitive credit requirements, rate, structure and term. That along with the ability to communicate these items with our clients sets us ahead of the competition. 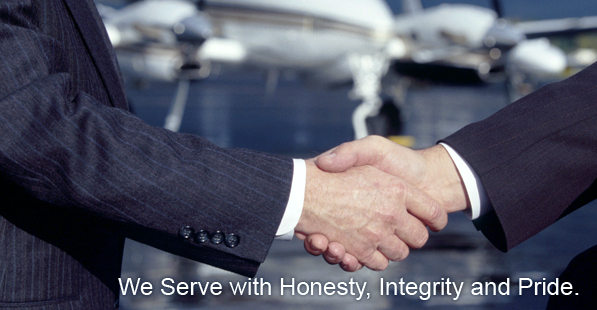 We are willing and able to sit down with our clients, face to face, to ascertain their needs on a personal level and in turn achieve those needs.